Looking for an awesome resort style vacation home? This unbelievable six bedroom vacation home in the desirable Championsgate has been extremely well kept and is furnished beautifully! Just built in 2017, this house is like buying new! 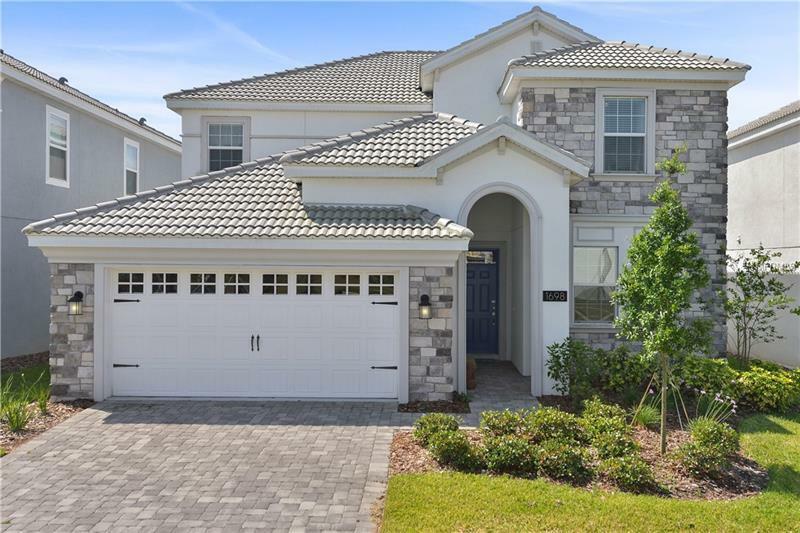 Conveniently located on one of the best lots in Championsgate, this home backs to the community border wall and is in a lower traffic court yard. When you enter the home you immediately notice the natural light that pours in, which paired with the white cabinets and bright colors makes for a very comfortable atmosphere! The home is also fully furnished with high end furnishings and flat screen TVâs in almost every room as well as dishes, linens, and much more â¦ just bring a toothbrush! Outside is a beautiful paver pool deck, a HUGE covered lanai, and distant rear neighbors with a border wall for extra privacy. The pool includes an electric heater and a spa with waterfall to make for a year-round vacation get away! This phenomenal Championsgate home leaves little to be desired, book your showing today, you wonât be disappointed! !